One of the central themes of Jackson’s election, like Trump’s, was that a permanent political class had rooted itself in the nation’s capital and needed to be expunged. Many bureaucrats had spent their entire careers in Washington, D.C., despite, in many cases, their incompetence, corruption, and general uselessness. While most Americans toiled through economic downturns and the challenges of the private sector, government workers remained immune from downturns and distant from the concerns of the people they had been appointed to serve. Jackson believed it was the right of the people to elect representatives who could “fire” bad civil servants. 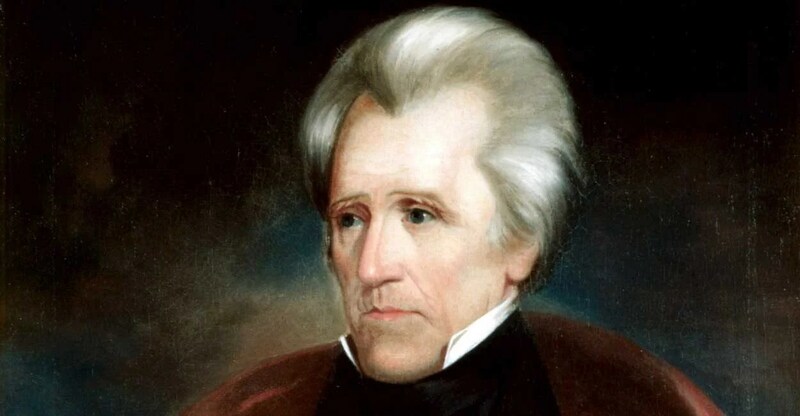 In 1829, Jackson pushed Congress to ensure term limits for bureaucrats—limiting their time in office to four years, after which they would have to apply for their job again. The issue of draining the swamp will become increasingly prominent as term limits and other proposals are made to contain the power of the new permanent political class both in Congress and in the bureaucracy. There are, perhaps, few men who can for any great length of time enjoy office and power without being more or less under the influence of feelings unfavorable to the faithful discharge of their public duties. Their integrity may be proof against improper considerations immediately addressed to themselves, but they are apt to acquire a habit of looking with indifference upon the public interests and of tolerating conduct from which an unpracticed man would revolt. Office is considered as a species of property, and government rather as a means of promoting individual interests than as an instrument created solely for the service of the people. Corruption in some and in others a perversion of correct feelings and principles divert government from its legitimate ends and make it an engine for the support of the few at the expense of the many. The duties of all public officers are, or at least admit of being made, so plain and simple that men of intelligence may readily qualify themselves for their performance; and I cannot but believe that more is lost by the long continuance of men in office than is generally to be gained by their experience. I submit, therefore, to your consideration whether the efficiency of the Government would not be promoted and official industry and integrity better secured by a general extension of the law which limits appointments to four years. No individual wrong is, therefore, done by removal, since neither appointment to nor continuance in office is a matter of right. The incumbent became an officer with a view to public benefits, and when these require his removal they are not to be sacrificed to private interests. It is the people, and they alone, who have a right to complain when a bad officer is substituted for a good one. He who is removed has the same means of obtaining a living that are enjoyed by the millions who never held office. The proposed limitation would destroy the idea of property now so generally connected with official station, and although individual distress may be sometimes produced, it would, by promoting that rotation which constitutes a leading principle in the republican creed, give healthful action to the system.